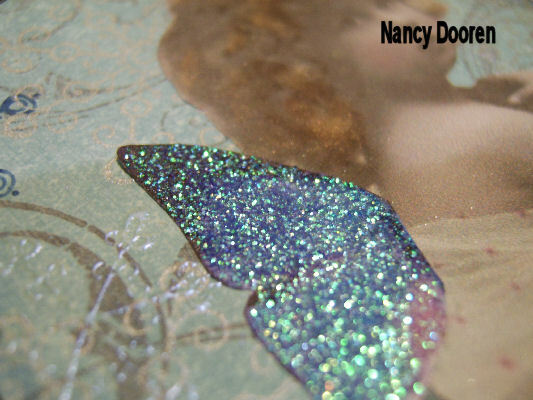 This weeks theme is “Sparkling Wings”…our hostess Nancy Dooren created this fabulous arch with the most gorgeous effect of sparkle on the wings. 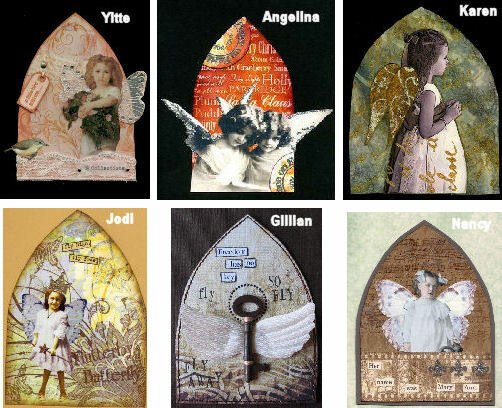 What comes to your artistic mind when “sparkling wings” is mentioned…sweet little fairies?….angels from heaven above?…snow glistening on the wings of a child?….whatever it may be – we wish to see it here in gothic arch form! I´am Nancy Dooren. I live in Enschede, The Netherlands,with my hubbie Wilfred and cat Sylvester. I´am a dental assistant for 16 years now. I love to stamp, my Trollbeads/Pandora bracelet and reading books! Mijn naam is Nancy Dooren. Ik woon in Enschede samen met mijn man Wilfred en kater Sylvester. Ik ben 16 jaar tandartsassistente. Ik mag me graag bezighouden met mijn hobby´s: stempelen, Trollbeads/Pandora en lezen! 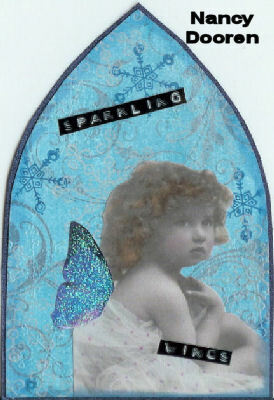 Nancy has a wonderful blog called Vintage Stamper where you can see more of her creations.